Small businesses beginning to export are just like start-ups...or at least they feel that way. There's a lot of "gut feeling" judgment calls and a "buckle up, 'cause here we go" feeling. There's good and bad news in that - the good news is that you don't have a mess of ossified problems to undo and sort out. It's refreshing in business today to start with a clean slate! It's bad though, because you take a plunge into the unknown. It feels intimidating and overwhelming (even while it's invigorating) and every step opens up new opportunities for new mistakes. All those opportunities for mistakes? Many will translate into actual missteps. The keys? And it's critical to do so because embedded mistakes can result in a range of consequences from slower or less profitable business development to abject failure in a market. That's unusual, but possible. And in any event your investing real resources (money and your time) in this effort. You should be loathe to squander either. 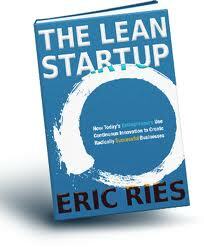 That's where Eric Ries' The Lean Startup comes in. Developing new international markets is reasonably analogous to launching a new business and developing a new product. So it stands to reason that techniques which are effective for one might have value to the other. all have direct analogs in the process of "going global." Although it sounds contradictory, this approach is really the only way to internationalize on the budget of most SMBs. Plan well based on experience; move boldly and not just according to headline consensus; adjust and pivot without hesitation as required and don't dogmatically pursue undesirable outcomes. And the hardest part? While you test, tweak and push....you also have to be patient! Consilium Global Business Advisors assists companies in all phases of the internationalization process. Our export assistance and business development consulting services help companies maximize opportunity and minimize errors.